So Lonely in Gorgeous: Two Looks, One Make Up For Ever 'La Boheme' Palette. Two Looks, One Make Up For Ever 'La Boheme' Palette. 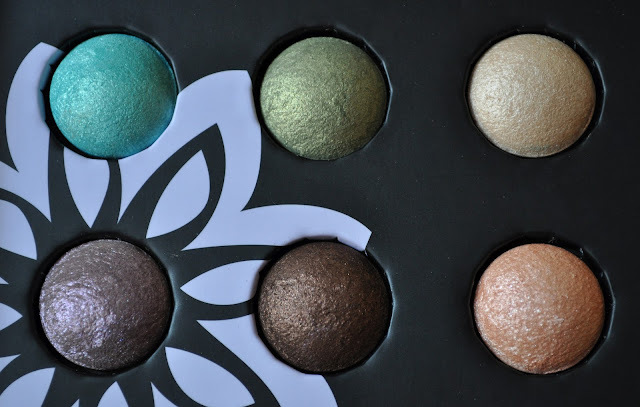 La Boheme Baked Eye Shadow Palette. The La Boheme palette is limted edition, but still available at sephora.com and on sale for $25.00. 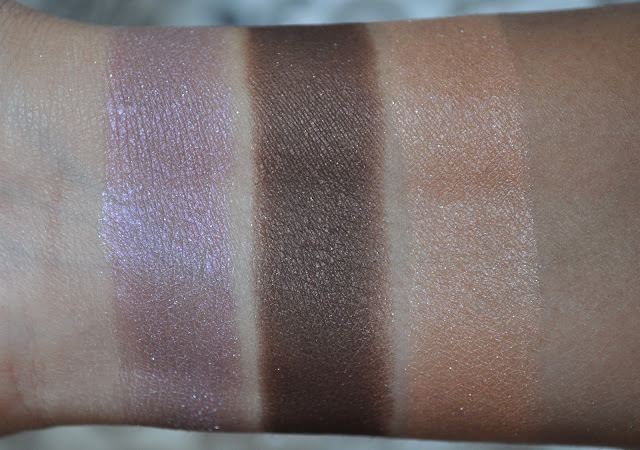 These eyeshadows are on the sheer side, but that's not always a bad thing guys. Sometimes it's nice to have a soft wash of color on lids, and baked eyeshadows usually do a great job at achieving lovely subtle luminous looks. But for those who want more color, these eyeshadows can layered, or used wet to intensify pigmentation. Also, these baked eyeshadows don't fade, blend out beautifully, and give a gorgeous luminosity to the lids. I've really been enjoying this palette this week! La Boheme Gypsy Aqua Eyes Pencil. Gypsy Aqua Eyes Pencil was another limited edition item. It's no longer available on Sephora's website, but you may still be able to find it online. Gypsy performed like all the other MUFE Aqua Eyes Pencils, waterproof, long wearing, and smudge-proof. I do have to say that I did find Gypsy's formula to be a bit drier than other Aqua Eyes pencils. Rouge Artist Natural Lipstick in Folk. Folk was love at first application! This lipstick is extremely creamy, glossy, and hydrating. Folk's slick formula applies a beautiful wash of color on the lips. Unfortunately, Folk is no longer available through Sephora.com, but I did find it on gurumakeupemporium.com (they do ship internationally!). 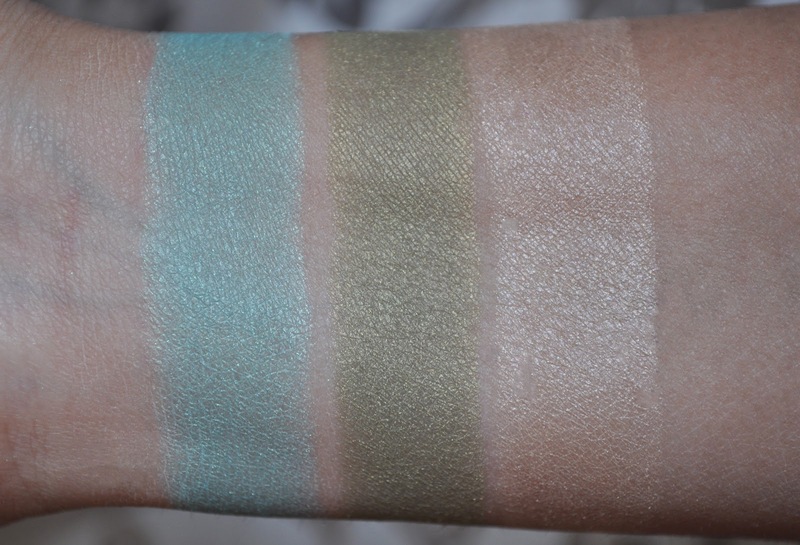 From left to right: Lagoon Green, Vegetal Green, Beige. Lagoon Green: A pastel aqua with aqua sparkles. Vegetal Green: A pastel spring green with multi-colored sparkles. Beige: A soft beige-flesh color. Fom left to right: Parma Purple, Brown, Coral. Parma Purple: A pastel lavender with grey undertones and silver and pink sparkles. Brown: A rich chocolate brown with copper sparkles. Coral: A soft peach with silver sparkle. 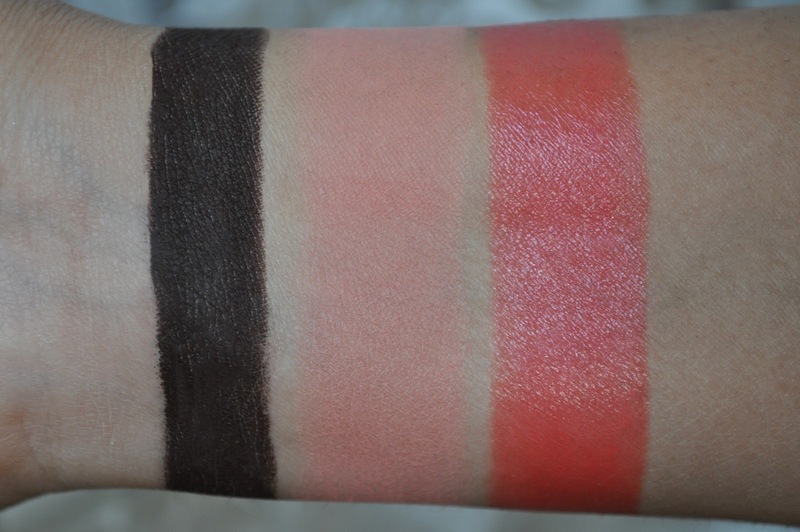 From left to right: La Boheme Gypsy Aqua Eyes Pencil, Make Up For Ever Blush #10 (swatched for color reference), La Boheme Rouge Artist Natural Lipstick in Folk. Make Up For Ever Blush #10: A soft peachy-pink. Folk: An ultra glossy, slightly pinkish, red-coral. Mac Paint Pot in Rollickin' (apply a sheer layer on the lid). Lagoon Green (applied all over the lid and lightly in the crease). Coral (used to blend out the edges of Lagoon Green). Beige (in the inner corner and brow bone). Brown (used to line the upper lash line). 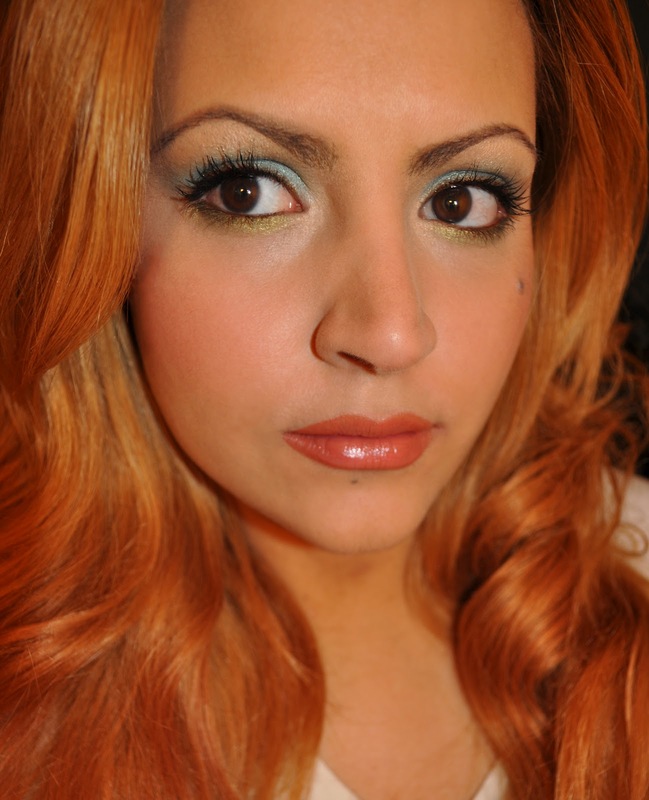 Vegetal Green: (applied long the lower lash line). 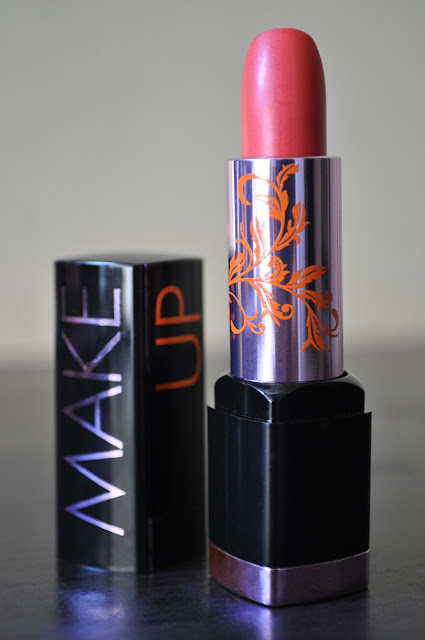 Make Up For Ever La Boheme Rouge Artist Natural Lipstick in Folk. 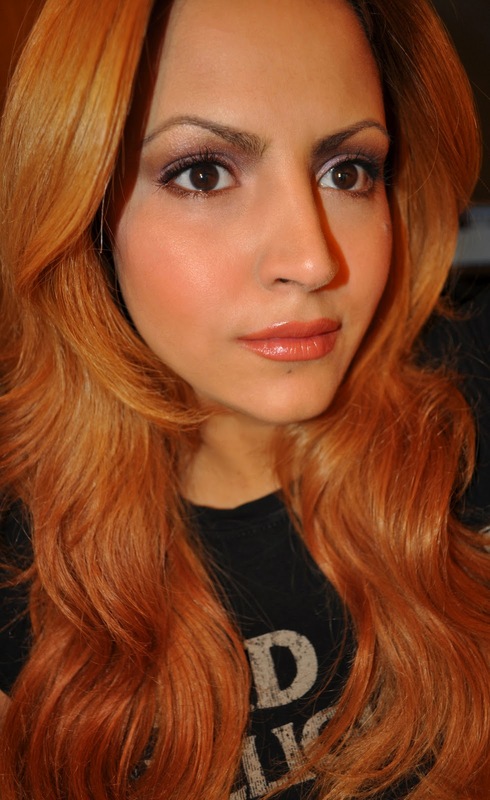 Make Up For Ever La Boheme Baked Eye Shadow in Coral (used to highlight the bridge of the nose and cheek bone). Mac Paints in Mauvism (apply a sheer layer on the lid). Parma Purple (applied all over the lid and lightly in the crease). 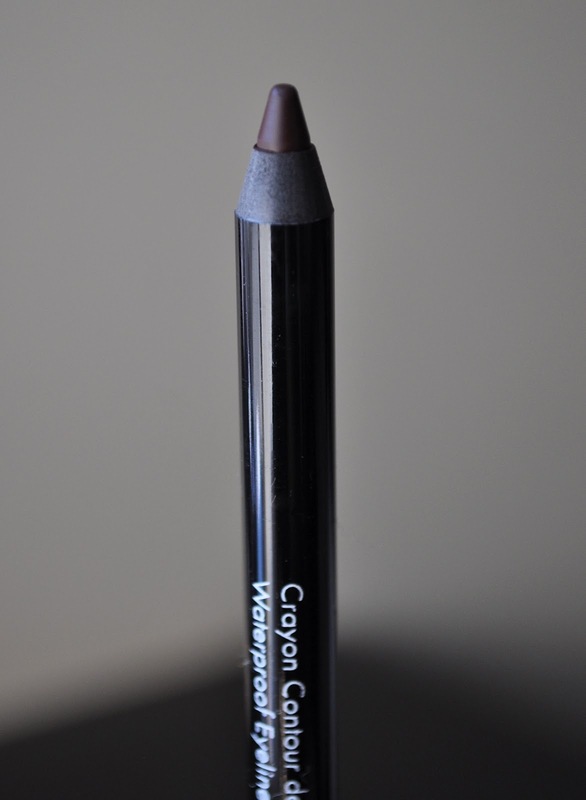 Brown (used in the crease, blending upward into the inner brow and along the lower lash line). Coral (in the inner corner and brow bone). Make Up For Ever La Boheme Gypsy Aqua Eyes Pencil (used to tightline and along the upper lash line). 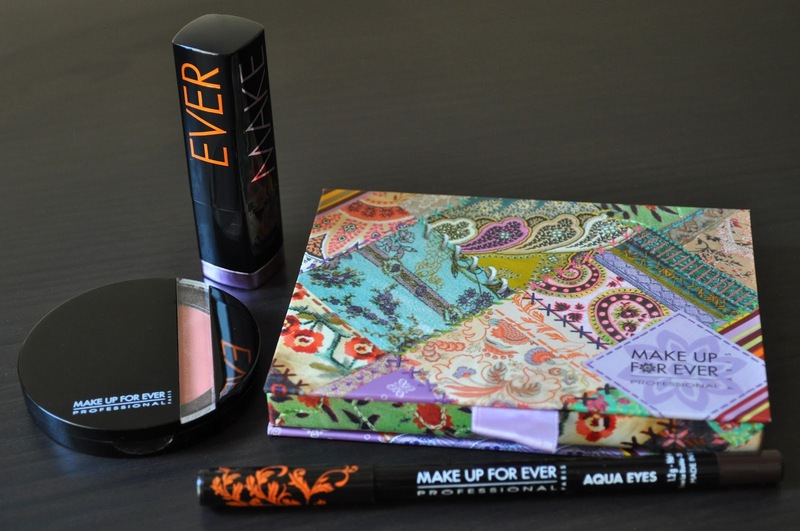 Make Up For Ever Aqua Eyes Pencil in 23L (on the waterline). Did you buy any of the items from the La Boheme Collection? *standing O* Loved the swatches and your looks are always amazing. I didn't get anything from the collection though. Wow, just wow. If I haven't said that already - you are stunning! So pretty, I LOVE your hair colour! I wanted to get the lipstick but I still haven't ... I think it is dupable and I probably already own such colour but as it seems, I don't have a dupe, I guess it would be time (by now) to get one, haha. I don't know what it is but you look especially pretty today / Claire. You really need this lipstick! The first makeup look is just gorgeous! I'd love to see this look on you Demi! Can you get your hands on this palette? I like both of these looks a lot, I'm not sure how you could make your makeup look bad no matter what colors you use because your application is flawless. I'd love to see a tutorial some day if you ever think you'd like to do one. Fabulous pics!! I like your innovative ideas in make up.